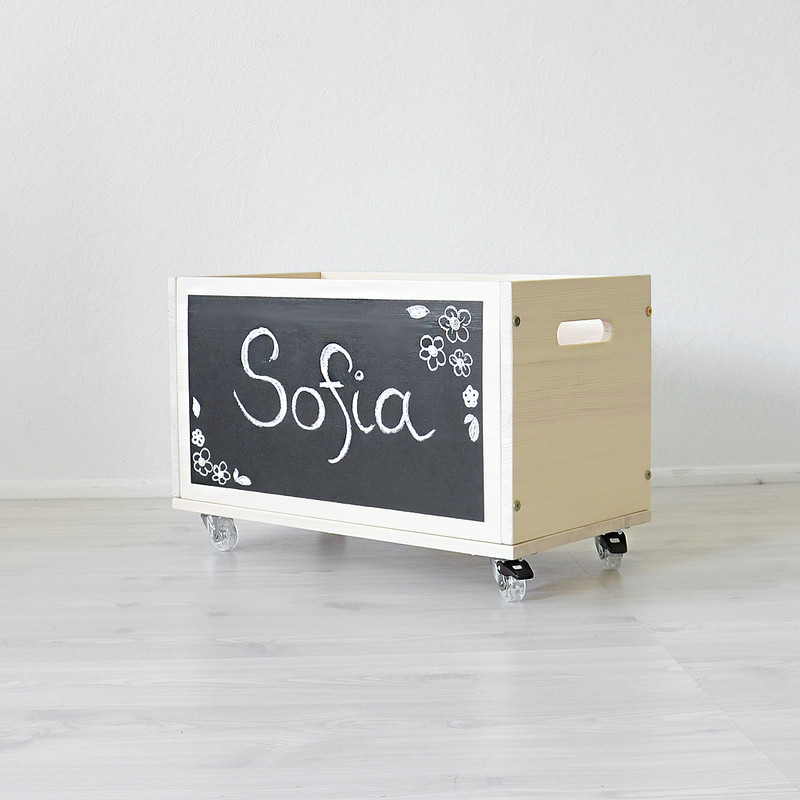 Toy Box on Wheels Organizer for Toys will be perfect for your kids room. It will make room more clean and parents more happier. Your kids will be able to put all his favourite toys there by himself. Even more, the box is equipped with wheels, so why not use it as a car? Just ask someone to push you. 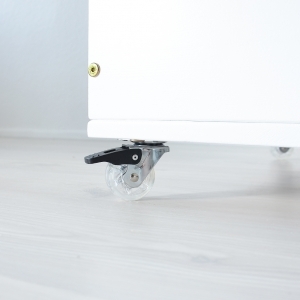 Two wheels are simple and two have breaks, so if you don’t want to make it movable, just press the breaks and it will stay as a static box. One side of the box is made as a blackboard. Take a chalk and make it personalise with your name or draw your favourite animal. Have fun! The box will come with screws, so you will need to assemble it. There are four wheels and two of them are equipped with breaks. Breaks will help to keep other furniture safe 🙂 Box is made from Plywood. You can request also other colours or ask it to be natural and finish it by yourself.